Once a rider accelerates, the speed control monitoring system tracks all their body movements and continuously assists while riding. No remote is needed. The rider’s body is the controller. 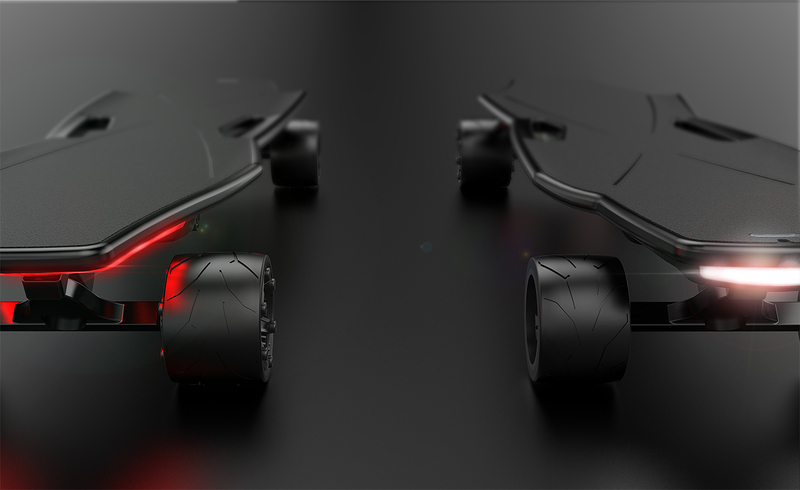 Today Stark Mobility launched an Indiegogo campaign for StarkBoard, the only remoteless electric skateboard controlled entirely by body movement. It is now available starting at $449 (retail value $999). The StarkBoard is embedded with a custom gyroscope sensor and intelligent weight and motion sensors that measure body weight distribution and inform the motors in which direction the board needs to go. The board propels forward with a slight tilt of the body. The tech is hands-free, remoteless, and intuitive. It can be mastered in under 5 minutes, even by novice riders. 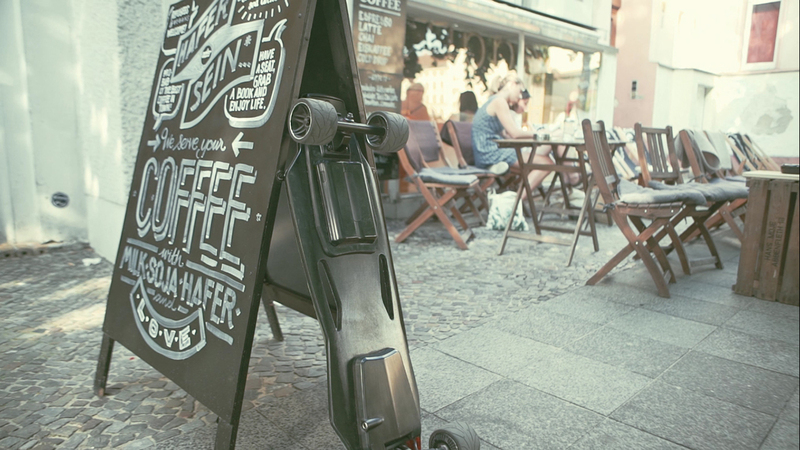 The board features two custom designed, electric hub motors that permit speeds of up to 20 miles per hour. A 194.4 Wh Battery (36V/5.4Ah) powers the StarkBoard for distances up to 13 miles on a single charge, and is easily removed and swapped out for longer journeys. It comes pre-charged and ready to go. StarkBoard knows when a person is on the board and its integrated sensors allows riders to quickly accelerate and reverse. An intelligent smart braking system offers quick stops and can even bring a rider to a complete halt on inclines of up to 17%. 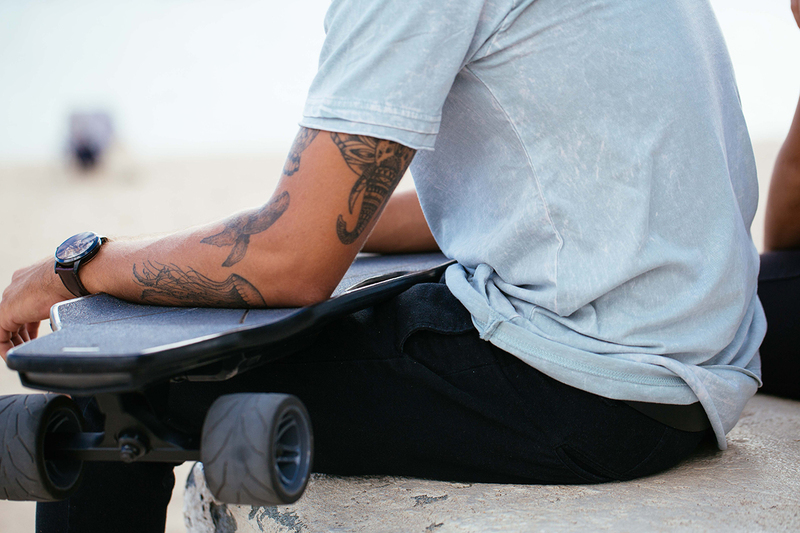 When a rider steps off, the brakes are activated, ensuring the board stays within reach and does not roll downhill. The tech comes with an app that offers optional customization for beginners and pros, letting users choose from three driving modes to match their level and style. The app also offers battery monitoring, location tracking, and Bluetooth connection to control lights and measure speed. StarkBoard will be available on Indiegogo for 30 days from November 8 to December 8, 2017, with an estimated delivery date in late January 2018. For more information, please visit the campaign page. Media wishing to interview their personnel should contact PR agent, Allison Aitken.